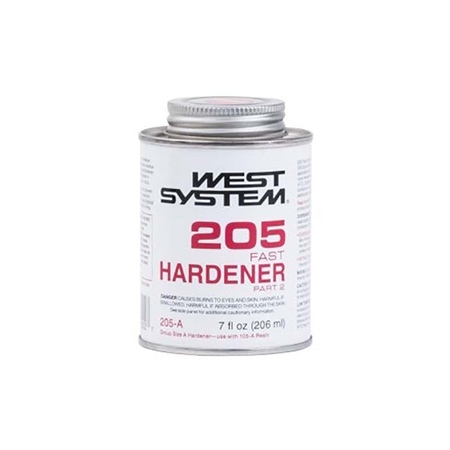 205 Fast Hardener® is a medium-viscosity epoxy curing agent. It is used in a majority of situations, at lower temperatures and to produce a rapid cure that develops its physical properties quickly at room temperature. When mixed with the 105 Resin in a five-part resin to one-part hardener ratio, the cured resin/hardener mixture yields a rigid, high-strength, moisture-resistant solid with excellent bonding and coating properties.